Ruxolitinib, an orally bioavailable potent and selective inhibitor of Janus kinases (JAKs) 1 and 2, has been approved in Europe for the treatment of myelofibrosis and polycythemia vera. 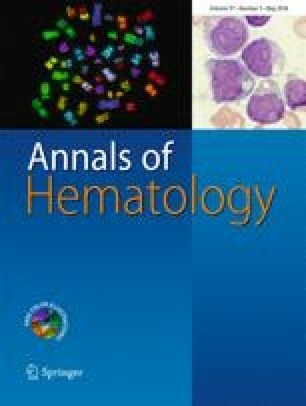 Ruxolitinib improves disease-related constitutional symptoms, splenomegaly and overall survival in myelofibrosis. However, studies suggest that the drug exerts immunosuppressive activity and may predispose patients to infections . Here, we report all the infectious adverse events (I-AEs) registered in the French Pharmacovigilance database between August 23, 2012 and August 31, 2017 with ruxolitinib as “suspect” or “interacting drug” and adverse drug reactions (ADRs) coded as “infections and infestations” with MedDRA System Organ Class (SOC). The French Pharmacovigilance database was established in 1985 to record spontaneous reporting of adverse drug reactions reported to the network of 31 French Regional Pharmacovigilance Centers.